Does Unified Communications Really Cut Costs? 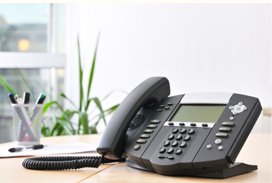 « How Do I Get the Most out of My Hosted VoIP Business Phone System? 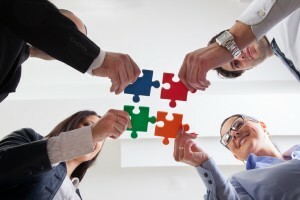 Unified communications helps your team to work more efficiently. If you’re considering unified communications (UC) for your business, you may be wondering “how much will this cost me?” Fortunately, it will likely cost much less than you’d expect. Plus, the gains you’ll experience in productivity and collaboration will justify your investment. Unified communications aren’t necessarily a new technology, rather, it’s a unification of the technologies you’re already using: email, phone, and instant messaging, all of which can be “unified” through your phone system. When upgrading from traditional analog telephony to VoIP, many companies pay special consideration to UC. Just as with any upgrade of hardware, there will be inevitable expenses. You can expect to spend money on software licenses, including for the server and database licenses, the licenses for the VoIP hardware and actual system. However, the money you spend on upgrading your business phone system will be returned to you in the form of increased productivity and saved time. You can save time and communicate more efficiently with instant messaging. Your VoIP system can show presence management (who is available from the contacts list). Rather than playing phone tag, an employee can see that another employee is not available and send them an instant message instead. All of these features help businesses save time and money long-term. Personal mobile devices are becoming more and more common. As these devices proliferate, it only makes sense to utilize them for a mobile workforce. UC can connect your workers through their cell phones, laptops, and ipads, meaning that they don’t have to sit at a desk to work. Many companies are even moving to having an entirely remote workforce, which saves money on the rent and utilities costs of having an office. The convenience of UC and remote working can even attract hiring prospects to your company, so you can hire truly outstanding individuals. Between saving money on needless expenses, streamlining communication, and hiring and enabling excellent workers, you’ll be glad you invested in unified communications. Are you ready to upgrade your phone system and improve your customer service experience? Call McEnroe Voice & Data in Maryland, D.C., Northern Virginia, or Central Pennsylvania at 1-800-727-1607 or in Maryland or D.C. at (703) 903-9881, or simply contact us on our website! We offer a free consultation, so be sure to get in touch and take advantage of this free service. Want to keep up with the latest in voice and data news? Follow us on Facebook,Twitter, Google+, Pinterest, and Linkedin! This entry was posted on Monday, May 30th, 2016 at 7:07 pm	and is filed under Unified Communications. You can follow any responses to this entry through the RSS 2.0 feed. Both comments and pings are currently closed.